Being second best was never an option – in fact, she viewed getting any less than a perfect academic score as a failure. 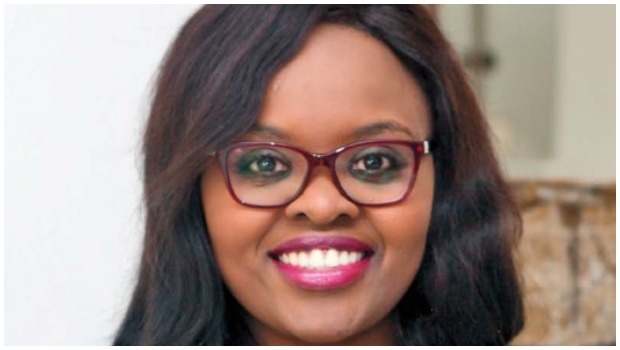 This drive to be the very best is what paved the way for super-competitive 29-year-old Dr Ncumisa Jilata to become the youngest neurosurgeon in Africa. The petite Ncumie, as she’s affectionately known, made history when she graduated from The Colleges of Medicine of South Africa – receiving her degree to raucous applause at a ceremony held in Durban last month. Her journey into the record books was long and gruelling, she says, when she chats to us during a rare moment of downtime at her spacious home in a leafy country estate outside Centurion, Gauteng. She had wanted to be so many things growing up in Mthatha in the Eastern Cape, she recalls. When she was 10 she dreamed of being a movie director, then a fashion designer, then an accountant. But all that changed in 2003 when she was first introduced to the central nervous system. There and then her love affair with the human brain was born. “All the body parts made sense to me but the brain really captured my attention. Everything starts with the brain – walking, writing, ruling the world . . . The brain is the seat of the soul and I wanted to learn more about it. But to my shock my dad wasn’t impressed at all – he wanted to know what happened to the other 21 percent! That’s when I decided I wanted to be a doctor,” Ncumisa explains. At the time she wasn’t doing biology in Grade 11 at Umtata High School, and realised she needed to add it to her subjects to realise her dream. This led to her cramming three years of the subject into one year during matric – but she cracked it and matriculated with flying colours. She then enrolled in the Faculty of Health Sciences at Walter Sisulu University in Mthatha, and graduated in 2009. An extra two years of internship, a year of community service and two more years as a medical officer (registrar) followed. During this time Ncumisa also spent five years as a fellow with the University of Pretoria to train to be a brain surgeon. Her lawyer father, Horenns, was instrumental in instilling a love of education and an impeccable work ethic in his daughters, including Ncumisa’s younger siblings, Sethu (26) and Zintle (24). Excelling at academics wasn’t negotiable growing up, Ncumisa says. Her dad encouraged her to reach for the stars from an early age. As a child, Ncumisa liked nothing more than playing the popular three-tins game in Mthatha’s upmarket suburb of Southridge – her father, however, was not impressed. I remember thinking what a privilege it will be to work on such a marvelous organ. And she’s been aiming high ever since. It’s been a busy five years for Ncumisa. Not only was she swamped by a series of rigorous exams, she had to constantly prove herself in this male-dominated field of medicine. “It’s common to be second-guessed as a woman but one’s work ethic will always speak volumes. I had to sweat to break through barriers of patriarchy to pave the way for other young women – especially those from the rural former Transkei – to give them someone to look up to,” she says. She resolved to study neurosurgery so she could make a difference in her hometown. “I remember thinking what a privilege it will be to work on such a marvelous organ.” And she became more determined than ever to make it as a neurosurgeon. It’s emotionally and physically draining but it’s attainable. In 2010 she started her two-year internship at the Charlotte Maxeke Johannesburg Academic Hospital and was later accepted by the University of Pretoria. Ncumisa soon realised that for her to achieve her goal, she needed a mentor – someone who’d walked the road she was determined to run. She chose neurosurgeon Dr Coceka Mfundisi (36), who’d broken a few barriers herself. Coceka also hails from the Eastern Cape and was the fourth woman to qualify as a neurosurgeon in SA. “Ncumie heard about me because I worked in Mthatha for about a year. During my training as a neurosurgeon at the University of Pretoria I was the only woman. When Ncumie told me she wanted to be a neurosurgeon I could already see her working with me at the University of Pretoria,”a proud Coceka explains. She became Ncumisa’s support. “Ncumie’s success is a proud moment for the impoverished community and a reason for women to celebrate,” she adds. Female neurosurgeons such as Dr Mfundisi and Ncumisa are grateful to the first black female neurosurgeon on the African continent, Dr Delisile Ndzimandze, who opened doors for other women in the field. Ncumisa believes her time as a specialist-intraining was smoother than it would have been otherwise. Now one of the new batch of fellows for the Council of Neurosurgeons of South Africa, she says it took a lot of hard work to realise her dream. “It’s emotionally and physically draining but it’s attainable. Sometimes you become so emotionally involved because you are invested in your studies, your patients and their families. It’s not easy but I’m glad I’m here today,” she beams. The workaholic says she’s had no time for a love interest while striving to break the glass ceiling, and she admits she’s sometimes considered a party pooper by her friends. But now that she’s qualified she’s ready to start thinking about her other dreams – which include having a relationship, getting married, having children and travelling. Right now, though, she’s basking in the glow of her career success.